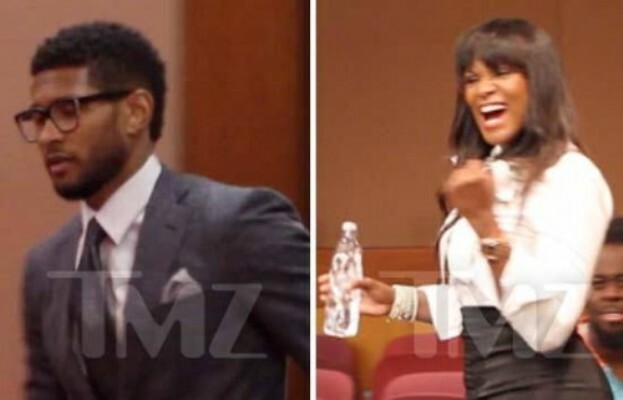 Usher’s custody battle with his ex-wife Tameka Foster is heating up and word on the street is she’s threatening to air all of Usher’s dirty laundry. In an Atlanta courtroom on May 21, fighting for rights to see his two boys, the 33-year-old singer was visibly shaken when talking about Usher V and Naviyd. But Usher’s tearful pleas are falling on deaf ears. An insider tells In Touch that 44-year-old Tameka is now threatening to name several big stars she insists her ex husband slept with during their tumultuous two-year marriage, which ended in 2009. But Tameka might want to think twice about her spiteful tactics against Usher, who is now happily dating Def Jam record executive Grace Miguel, 44. Tameka does seem a little off the wall, but we would love for her to spill the beans. Who’s cookie jar do you think Usher was snatching? This entry was posted in Entertainment News and tagged affairs, celebs, cheating, Court, custody battle, GUILTY, Tameka Foster, Usher. Bookmark the permalink.